Candidates must complete their 10th class, 12th, SSC, ITI or relevant qualification from a recognized Board with a minimum qualifying mark. Refer the RRB Chennai 2017 Official Notification to know the post wise educational qualification. The Railway Recruitment Board Chennai Officials will conduct the following rounds to recruit applicants. The selected candidates will get an attractive pay scale. The Pay Scale is Rs 52,00/- to Rs 20,200/-. 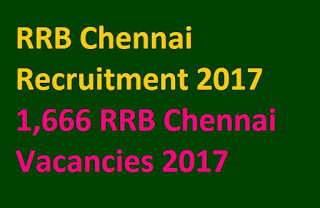 First, candidates need to visit the official website of Railway Recruitment Board Chennai i.e., www.rrbchennai.gov.in. 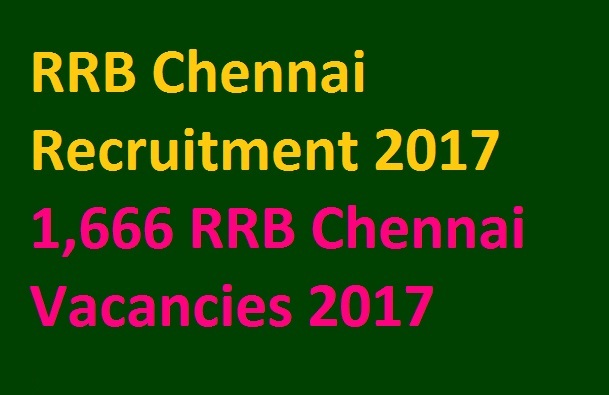 On the Homepage, search for the desired RRB Chennai Notification 2017. Now, read the official notification carefully to know the eligibility details. Now, click on the apply online link and fill the required details to submit the application form. Upload your scanned photograph and signature carefully. Now, pay the required amount of application fee and submit the application form. Take the printout of the same for future consideration.